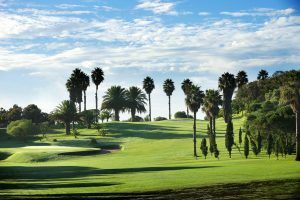 Real Club de Golf de Las Palmas located on the island of Gran Canaria is the oldest club in Spain, with over one hundred years of history, founded in 1891 and designed by renowned British architect Mackenzie Ross. It is located just 15 minutes from the city center and 25 minutes from the airport, at an altitude of 400m, located on the edge of the caldera Bandama, a crater detachment of an ancient volcano of 800 meters in diameter and 200 deep, testimony the volcanic origins of the island, 14 million years ago, in a protected natural area, which attributed a privileged location with unbeatable views with its design and reflected in the quality of its greens and in great condition care its streets and the countryside in general, make it a wonderful place to enjoy this sport. The field consists of 18 holes par 71, a tee driving range, two putting greens, one pitching, an elegant clubhouse with all provisions where half of the holes are contemplated, shop, gym, bar and restaurant open all year, rental clubs, a riding section 50 blocks and 5 paddocks, a section tennis two courts, and a wonderful hotel just 10 meters from Tee 1, as well as correspondence with numerous clubs. 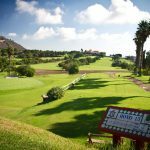 It is constituted as a must for golf lovers, as well as the second home of all partners and friends who make up the great family of this Club. 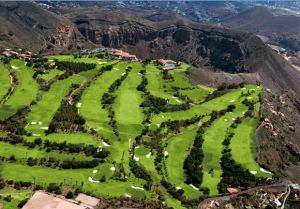 Club dean of Spain Golf is located in Gran Canaria, in the Bandama, in the municipality of Santa Brigida in a magnificent and privileged the edge of the Caldera de Bandama, an ancient volcano of 800 meters in diameter place 200 deep, testimony to the volcanic origin of the island, 14 million years ago, at a height of over 400 meters and enjoys unique views and a spectacular setting for this sport, and just 15 minutes from the city and 25 minutes from the airport. The fastest and most comfortable way is reached via the ring, take the GC-4 Tafira output direction and then take exit C-802 address Bandama. ¡Make your reservation ONLINE and get up to 15% discount! 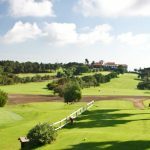 Making a reservation online for your green fee is very easy. 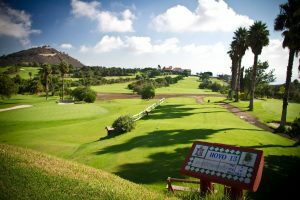 Complete the reservation form and we will send you a confirmation e-mail, including the full price to be paid at the club. 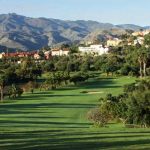 You will be able to cancel your reservation, at no cost, up to three days before the date, by simply sending an e-mail to reservas@rcgolflaspalmas.com. You will be able to automatically see the fee to be paid for the selected date by filling the “Reservation Date” field. Remember that the club’s off season rates range from (05/01/2018 until 09/30/2018), while peak season rates range from (10/01/2018 until 04/30/2019). Please keep the times available at each season in mind when making your reservation. * Please fill in the mandatory fields, marked with an asterisk (*), to officially reserve the date. DO I NEED TO PROVIDE MY CREDIT CARD INFORMATION? NO, THERE’S NO NEED. THE RATE IS PAID DIRECTLY AT THE CLUB’S RECEPTION DESK, EITHER IN CASH OR WITH A CARD. WHERE DO I PAY FOR THE RESERVATION? DIRECTLY AT THE CLUB’S RECEPTION DESK, EITHER IN CASH OR WITH A CARD. IS THERE ANY AGE, HANDICAP, OR EQUIPMENT RESTRICTIONS TO ACCESS THE FIELD? THERE ARE GAME HANDICAP LIMITATIONS: 28 FOR MEN AND 36 FOR WOMEN. 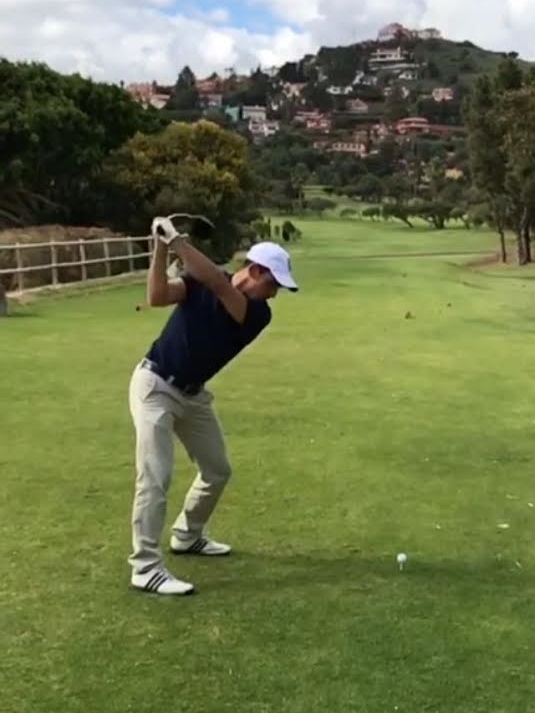 ADDITIONALLY, THE EQUIPMENT SUITABLE FOR PLAYING GOLF IS REQUIRED. CAN I MAKE A RESERVATION FOR ANY DAY OF THE WEEK? 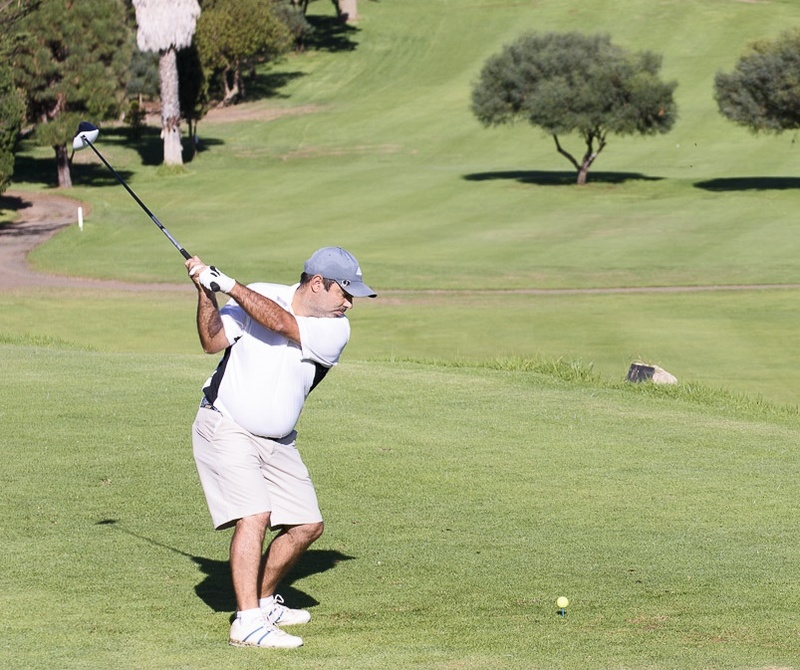 THERE ARE SOME TIME LIMITATIONS IN PLACE SO AS TO COVER THE CLUB’S PRIVATE AND SOCIAL NEEDS. M, T, AND W: 08.00 a.m.- 01:00 p.m., AND STARTING AT 03:30 p.m.
T AND F: 08.00 a.m.- 01:00 p.m.
S AND S: STARTING AT 03:00 p.m. YES, YOU WILL HAVE THE OPTION TO CALL US TO +34609062944 AND WE WILL TAKE CARE OF HANDLING YOUR RESERVATION PERSONALLY. OUR PHONE ASSISTANCE HOURS ARE MONDAY THROUGH FRIDAY FROM 9 A.M. TO 5 P.M. I HAVE QUESTIONS, CAN I CALL YOU? FOR ANY ISSUE RELATED TO RESERVATIONS, PLEASE CALL US AT +34 609062944. WE WILL PROVIDE YOU WITH ALL THE ASSISTANCE YOU MAY NEED. WE WILL BE AVAILABLE MONDAY THROUGH FRIDAY FROM 9 A.M. TO 5 P.M.
You will receive a 15% discount on both green fees and buggies or carts when making your reservation through our website. In addition, the Twilight is available through online sale only. Our form is designed to make the process of making a reservation easy, and to inform you, at all times, what is the rate you will be paying. You will be able to call us for any questions to a support number created exclusively for online reservations support. Our commitment is to confirm your reservation online within less than 24 hours. Don’t waste any more time, make your reservation now! 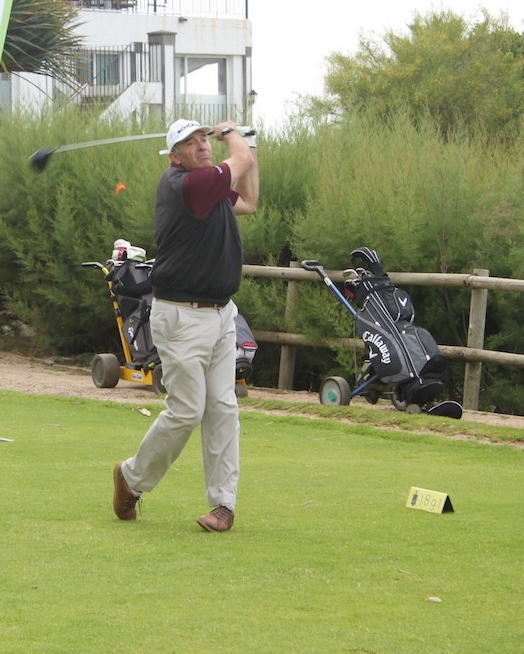 "The field is very technical and has fantastic greens. 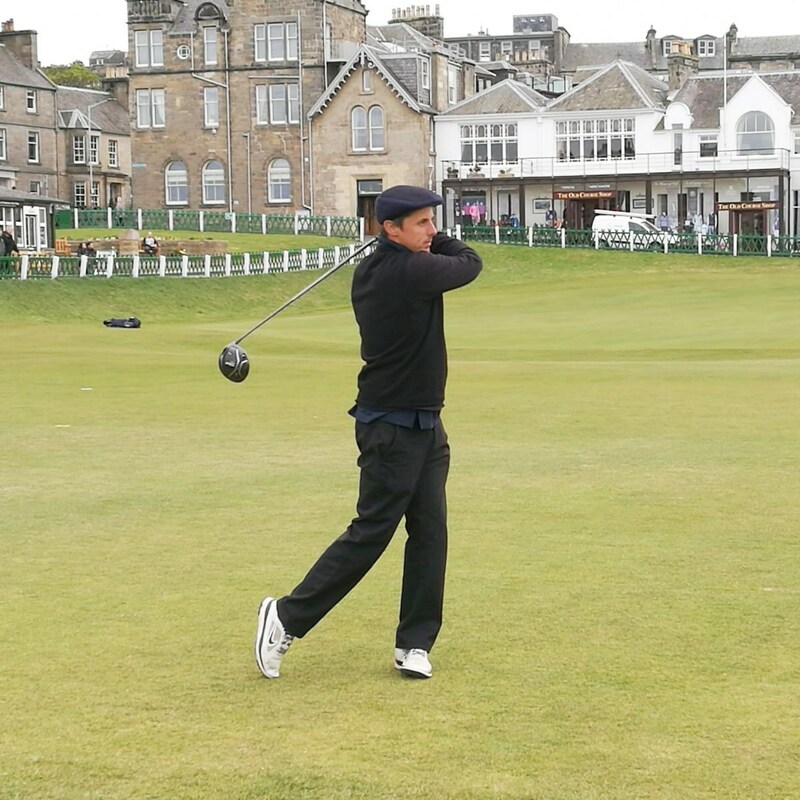 In addition, you can feel the golf environment, and they take great care to preserve its history. I felt at home"
"Right upon entering the Club, you can see you’re at the oldest Spanish club, taking in its history through the display cases, walls, and its facade. I’d like to point out how well-kept the field is and the superb treatment provided by their staff"
"A club with the classic atmosphere from the best European fields. 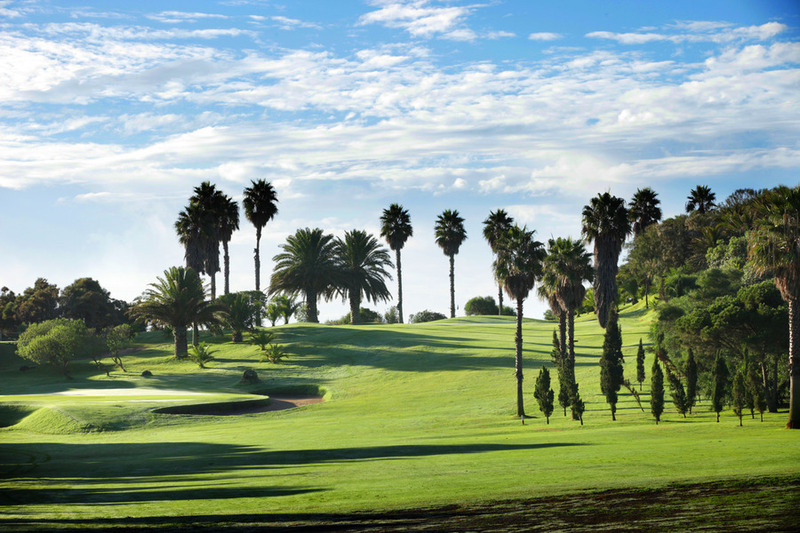 Tree-lined fairways, well-cared and fast greens. A constant challenge when at the top of a beautiful volcanic landscape"
"What I love the most about R.C.G. 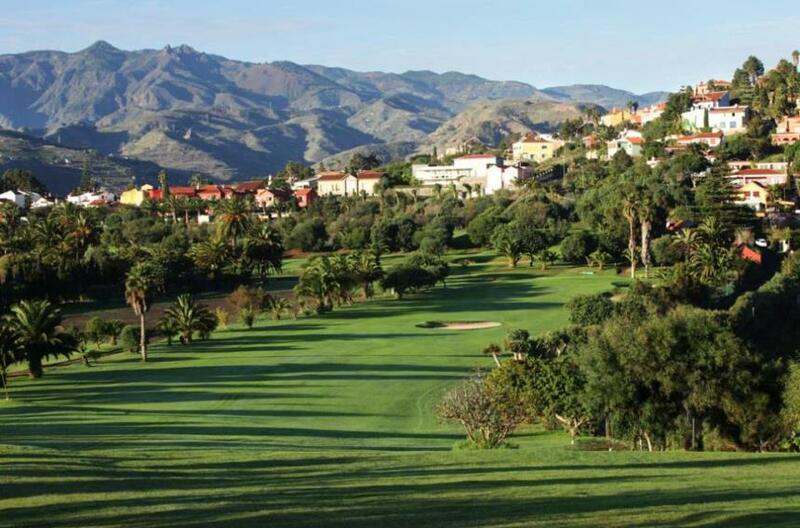 Las Palmas is its location, within an idyllic setting, offering a climate that lets you play all year long. 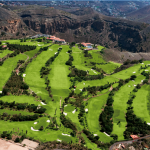 A fun, very technical field, with the best greens in the Canary Islands"
We will be waiting for you at the Tee-Off!